Today’s review begins with the origin of the “National Lampoon” magazines”. National Lampoon was an American hummer magazine sensation that started in back in the 1970’s, with each containing several different running comedy sketches (like the Sunday newspaper comics) and would often be advertised with absurd taglines like “If you don’t read this magazine, we’ll kill this dog”. So, there was obviously a lot of dark comedy involved. This magazine was so popular, and successful that it spawned various spin-offs ranging from radio shows, too live theater productions, and several different film adaptions’ over the years including “National Lampoons Animal House”, “National Lampoons Van Wilder” and “National Lampoons Gold Digger”. My absolute favorite by far is the 1983 comedy masterpiece “National Lampoons Vacation”. This road trip comedy starring Chevy Chase was simply comedic gold, and personally one of my all-time favorite comedies. To this day it’s still regarded as one of the greatest that the genera has to offer, and with a hit film of this magnitude, sequels were unavoidable. Following the film’s success were three direct sequels, two spinoff sequels, and a reboot film. These sequels ranged from mediocre, to just plain laugh-free, and didn’t even come close to capturing either the charm or hummer of the first. That is however with the exception of the third installment, which may not have surpassed the original, but escaped it’s long shadow and is regarded as a comedy classic in its own right. 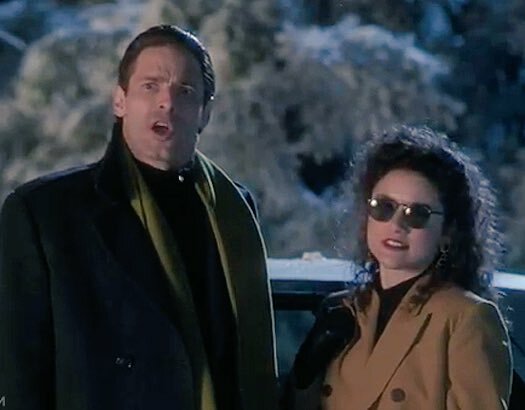 1989’s “National Lampoons Christmas Vacation” really is one of those rare sequels that can stand on its own, and doesn’t even require viewing the first film to enjoy it. The first ingredient for this film’s success was breaking away from the set formula of the series, and keeping the family at home instead of another road trip. Plus, making it Christmas themed was another key ingredient that helped give the movie its own identity separate from the first. Based on his short story in National Lampoon Magazine titled “Christmas ’59”, this film goes for both laughs, and genuine holiday charms. 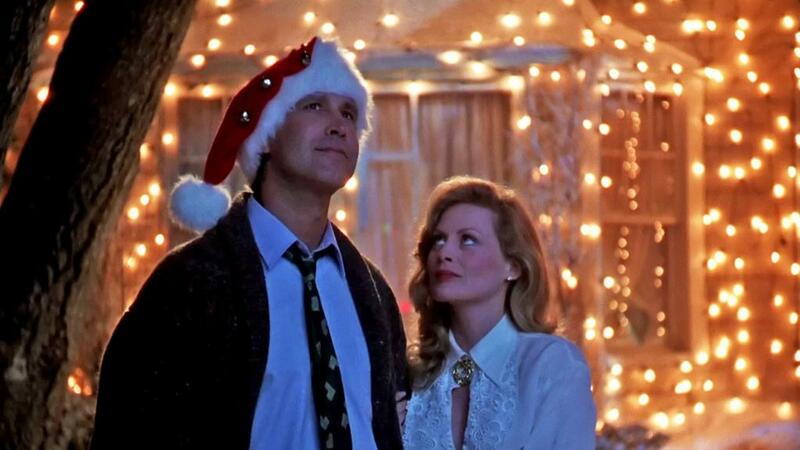 Once again, we focus on the Griswold family, with Chevy Chase reprising his iconic role as Clark Griswold, and Beverly D’ Angelo returning for a third time as the wife Ellen Griswold. As usual, Clark wants to treat his family to the best holiday vacation possible, but what he didn’t count on was all the rest of the family coming over to share the holiday. 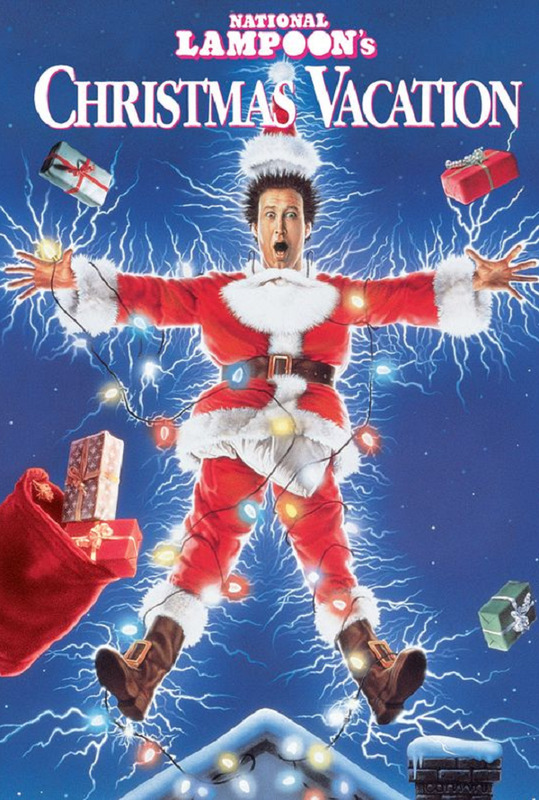 With the house getting more overstuffed with grandparents, relatives and the especially dopy cousin Eddie, things get out of control, and it’s one hilarious disaster after another. Can Clark keep his cool or will the stress finally break him down? The kids Rusty and Audrey are back and played by different actors as usual, but this time they’re ages are switched. In every other film, the brother Rusty is the oldest but in this movie it’s the sister Audrey who’s the oldest. That never made any sense to me, but I do have some fondness for the two child actors, as they both went on to other noteworthy films and TV projects. 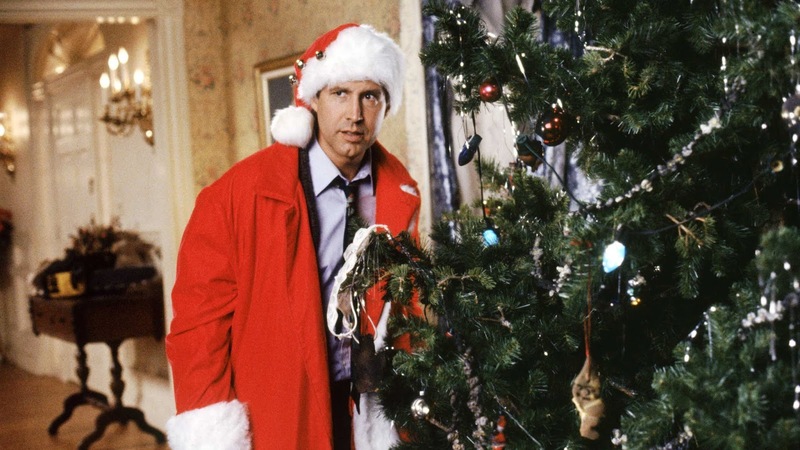 Chevy Chase is just as charismatic and funny as ever, and it’s probably one of his most unforgettable performances. Truthfully, I always looked at “National Lampoons Christmas Vacation” as his last great comedy, as his rain as comedic titan quietly died in the 90’s. Still, this was a great cap to his 80’s winning streak. He’s such a filthy jerk who can stoop as low as too flirt with other women, and he loses his temper with everyone around him, yet at the same time he’s such a likable father character who wants nothing more than to treat his family to a great holiday celebration. 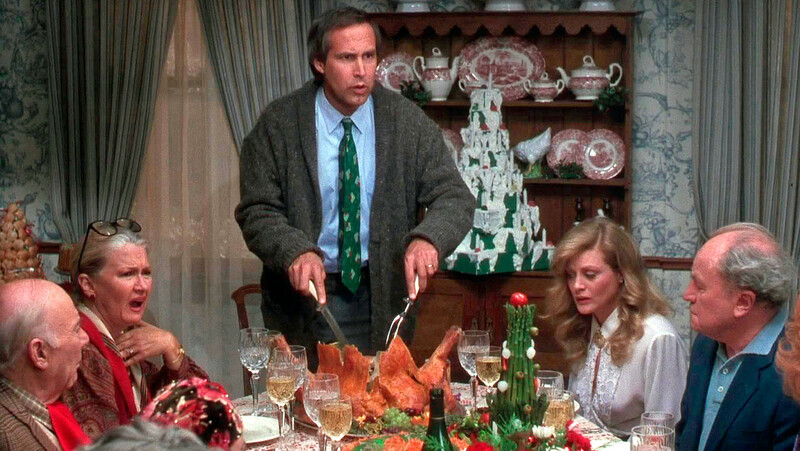 It takes talent to make a character of this nature flow through the different emotions and personalities, which is why this remains such a shining performance in Chevy Chase’s career. Next to our charismatic lead, it’s this visiting family that’s at the center of all the films comedy, and their all memorable in their own quirky ways. 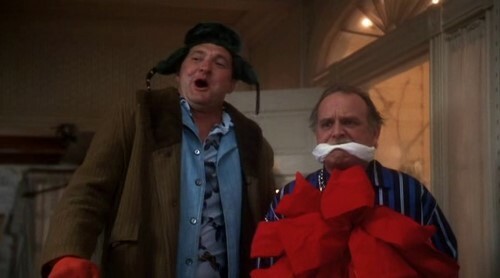 We have two groups of arguing grandparents, a lovable niece named Ruby Sue, the delightfully absent-minded Aunt Bethany, the enjoyably grouchy Uncle Lewis, and best of all is the goofy Cousin Eddie, played again by the one and only Randy Quaid. Eddie has a metal plate in his head, and while he goes around smiling and having fun, he’s completely oblivious to how annoying he is to everyone else. He’s such a lovable dufus, short on brains, but has a big heart, and it makes him an innocent buffoon. 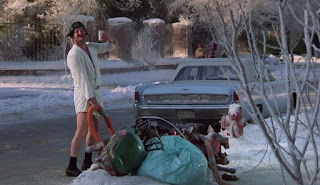 My favorite Cousin Eddie moment is when he empties his toilet full of crap from his RV into a sewer full of gas, he then casually looks over at a neighbor and says “Merry Christmas, my shitter was full”. That cracks me up every time, and its sense become a classic holiday line. Now sense this is the only Vacation film to take place at home, we never hear the classic “Holiday Road” theme song from the other movies. 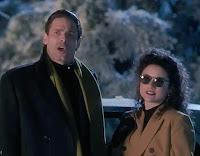 In its place is a terrific new “Christmas Vacation” theme song, which can really put you in the proper mood for the holiday season. The opening credits set to this song are also paired with a fun little animated sequence of Santa trying desperately to drop off presents at their home, but we see the Griswold curse can even have an effect on the Claus himself, as he just can’t get a break and stumbles into one goofy blunder after another. 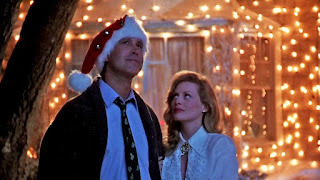 Another musical highlight is a daydream sequence in which Clark imagines his Christmas bones going to the construction of a swimming pool in his back yard. The scene is set to Bing Crosby’s “Maliki Liki Maka”, and features Clark’s secret dream girl sneaking into his subconscious. While the girls bathing-suit strip scene is censured for PG-13 viewings, this is still a highlight and leads to a very funny payoff. I especially love this short little montage of downtown Chicago mixed to the song “Hey Santa Clause”, as we see bands in the street, people shopping, decorations and the editing paired with the cinematography is fantastic. There are also several running jokes throughout the film, with my favorite centering around this grouchy married couple living next door. They’re the worst neighbors you could possibly have, and there so much fun to hate as a result. 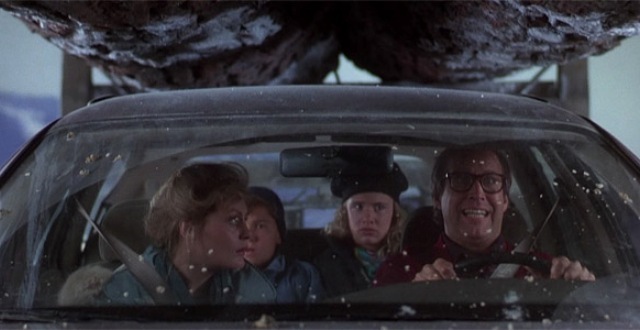 Every time something bad happens to them, due to an accident form the Griswold home, you cheer about it! 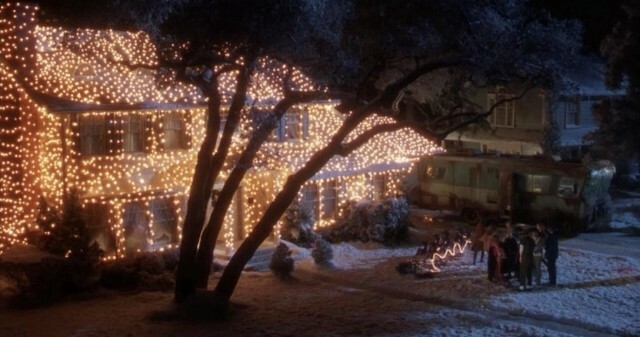 I’ll admit that some of the jokes get old and repetitive, particularly Clarks ongoing efforts to get 25’000 Christmas lights strung up to the house. There’s also a needlessly long scene on the highway in which Clark gets into a scuffle with a lumber truck, and some jerks on the road. Thankfully for every joke that doesn’t work, there’s at least 30 others that hit bulls-eyes. I love this one scene with Clark ridding an out of control sled that’s moving too fast for its own good. Then there’s this fun little sequence in which Clark gets himself locked in his own attic, which offers a terrific layout of select little events. The scene starts with loads of goofy slapstick, then as the scene continues, he discovers old family Christmas videos of him when he was a child. 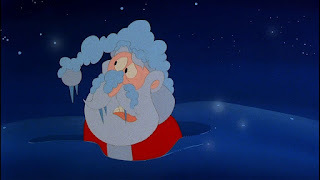 It’s all matched to the song “That Spirit of Christmas”, and as you watch him view his old videos, it becomes a genuinely touching little scene. That’s really the beauty of this film, as it certainly has all those classic slap stick jokes involving people tripping and falling, but it also gives us more. Unlike most other goofy holiday comedies, this film is very detailed with little things you don’t often think about but always recognize, and add a layer of charm to the film. There’s the father reading “Twas the Night before Christmas” to the family on Christmas eve, the grandparents sleeping on the sofa, and people just mindlessly watching other classic holiday movies like “It’s a Wonderful Life”. Speaking of which, there's a funny little call back to “It’s a Wonderful Life” when Clark "fixes" a broken post on a stair set. There are some other relatively subtle scenes that also add a lot of charm to the experience. I like seeing Clark have sweet little conversation with his adorable niece, and there’s also a very nice bounding scene between Clark and his father, which is nothing too preachy, just simple and touching. It’s really these little details that go along way, and really make this feel like a genuine holiday special. 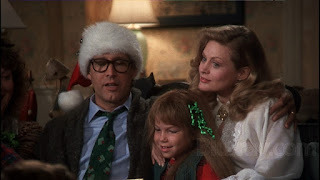 Another little touch that I really love is how the movie makes transitions with a calendar that’s built into a little playhouse, and every time we start a new day with the Griswold’s, we cut to this calendar house to see just what day of the month it is. 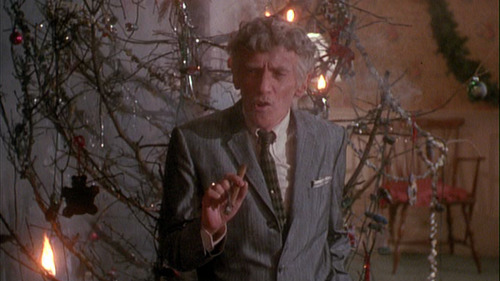 The absolute highlight of the film is when we get to the third and final act, which is set entirely on Christmas eve. For lack of better words, this is when all Hell breaks loose for the family, and all of the movies funniest sequences fall side by side, one right after the other, and truthfully, this is one of my favorite comedy climaxes I’ve ever seen. It all starts slow and simple at first, with a poorly cooked meal, and sick pets. Then things gradually begin to escalate, as a cat gets loose and starts spending it’s nine lives. 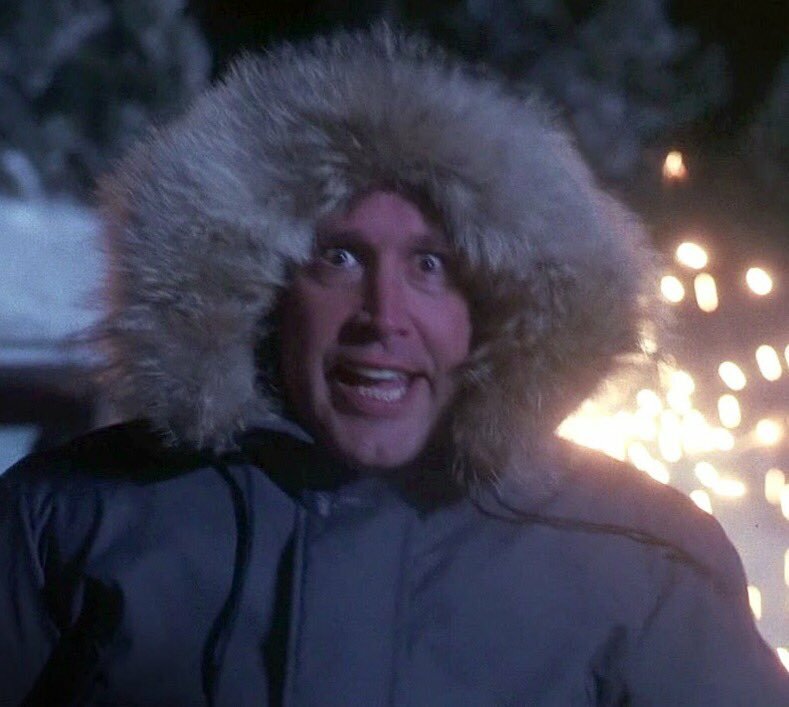 The Christmas tree is set to flames, a squirrel goes running throughout the house with the dog chasing him, cousin Eddie kidnaps Clarks cruel boss, a SWAT team is laying siege outside, Clark goes completely nuts delivering the greatest breakdown monologue in the history of cinema, and it’s all happening in one night! I mean sweet spirit of Christmas … can this get any more entertaining?! All the holiday hi-jinks of this finale are also balanced out with more subtle moments, which last just long enough for the audience to catch their breath before the next big laugh. 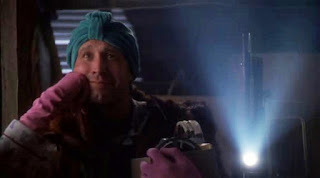 Overall, “National Lampoon’s Christmas Vacation” still remains to this day one of my absolute favorite movies to watch around the holiday season. Personally, I think it’s the absolute best Christmas comedy, and one that continues to make me laugh to this day. I’ll admit that it has a lot of slow moments in the first act, but once the film gets into its groove, it really finds a place among the best of the series. Even if it’s not quite as good as the original “National Lampoon’s Vacation”, it still has its own appeal, and has two functional legs to stand on its own apart from the first movie. 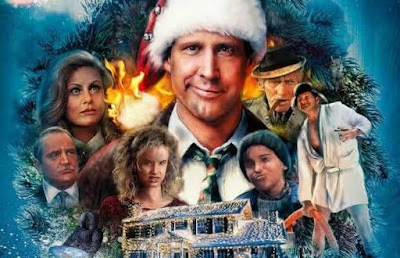 In fact, this film even has its own separate sequel titled “Christmas Vacation 2: Cousin Eddies Island Adventure”, and isn’t that interesting ... a third movie sequel gets its own second installment. “National Lampoon’s Christmas Vacation” is even a contender in our pop-culture with the first film, as people still quote lines, dress as the characters, and reenact favorite scenes. Even though this movie doesn’t contain the same touching qualities of other Yuletide classics, it’s still risen above its initial cult following, and has earned the right to be labeled one of the great classic Christmas movies for the modern age. It’s funny, detailed and captures every wholesome little Christmas moment you could experience with a family during the holiday season. 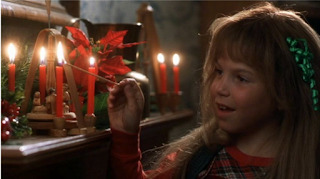 It’s a good one to watch while wrapping up Christmas presents, and it deserves to be seen once a year around this time. I give “National Lampoon’s Christmas Vacation” 4 ½ stars out of 5. Have a Merry Christmas Vacation Everyone!